For this game we used a modified map of Übersreik. 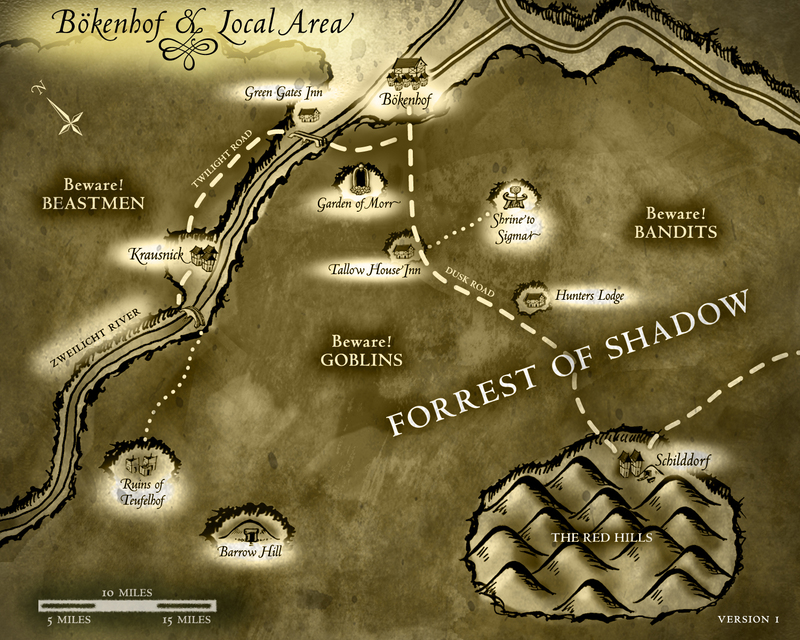 It was originally from the Edge of Night adventure, with some locations moved and districts defined. In this campaign, we had a few maps we used. 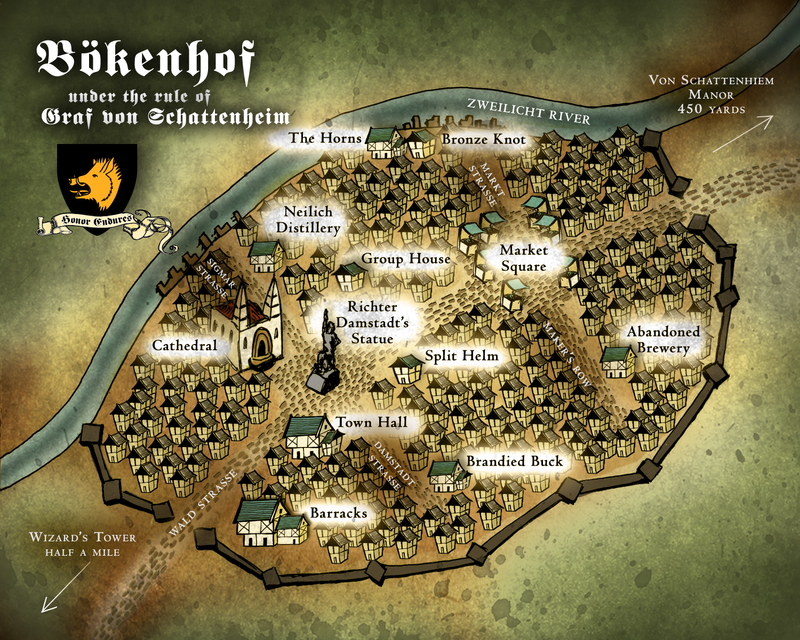 The first was a map of the town of Bökenhof, which served as the central “base” for the characters. The second was of the local area around the town. 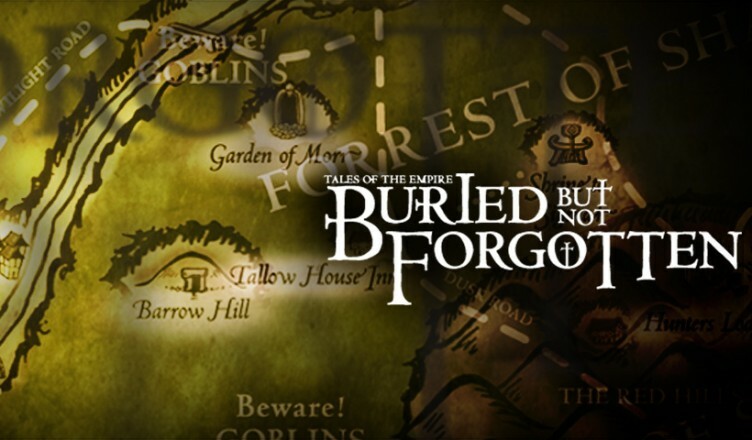 The map was initially empty with some locations inaccurately marked. 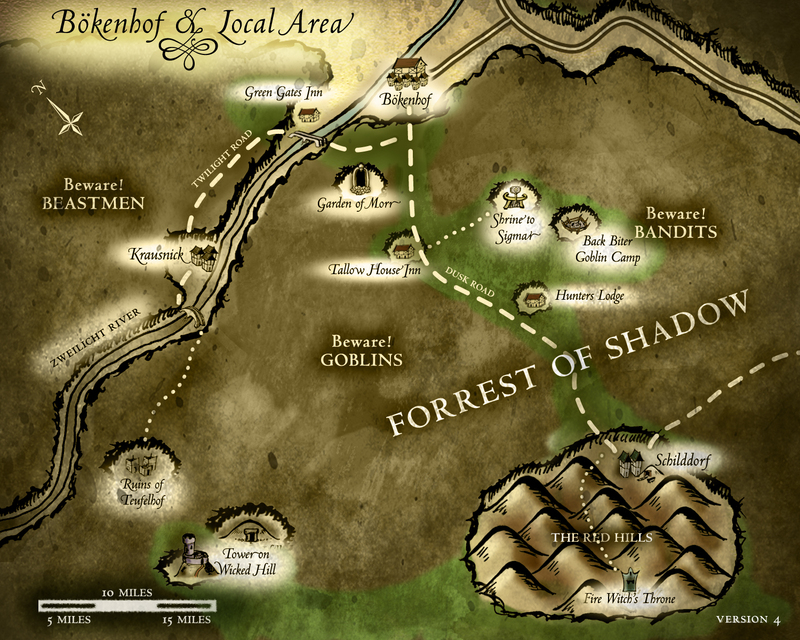 As the players explored the area, the map would reveal the truth. We’ve included the area the last version of it. The colored in paths mark the journey of the players. 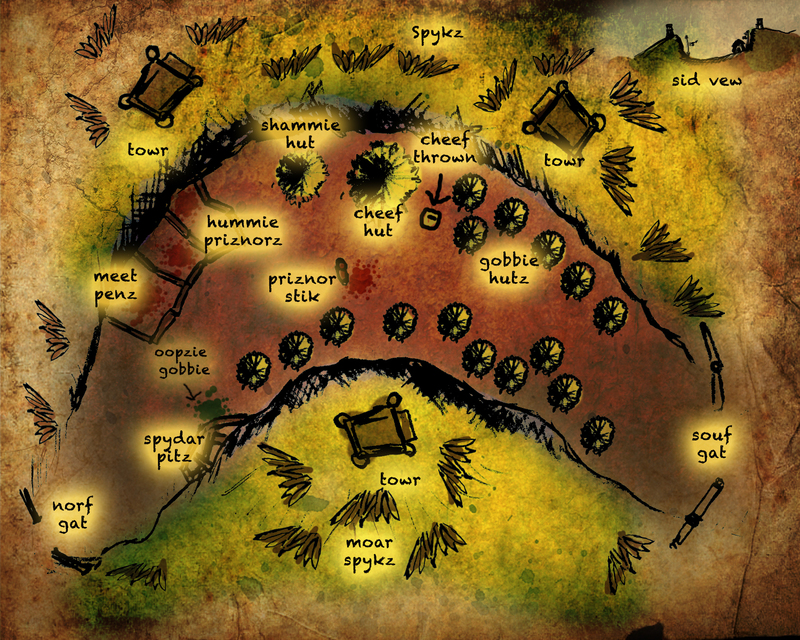 The third is details of the goblin camp they discover in the early episodes (as written by the goblins).